Our boards are designed to be inflated to 15 psi (lower than the most common 20 psi). Our Strongflate material is pre laminated. What does that mean? Less labor/glue and a specifically engineered material for our designs. This reduces weight and allows us to build a more rigid board at a lower inflation pressure. They can be inflated with a hand pump or an electric pump. Not all pumps are created equal. Most inflatable pumps have increases resistance as the pressure increases, an inefficient pump can have a much higher resistance than the very best pumps available. We use the K-pump, the best on the market. Totally rebuildable and It has 2 selectable inflation chambers, high volume and low volume. This allows you to switch to low volume as the pressure increases, reducing effort and increasing efficiency. Your back will thank you too. The design allows you to pump upright and switching arms when one gets fatigued. This is far superior to using your back and having to stop when you are tired. Electric pumps can be battery powered, AC power or DC powered. The best have all 3 options. Like hand pumps, not all electric pumps are created equal. If you are going to spend your hard earned money on a electric pump to save time and effort, you will want to choose the best. We can help. Check out the carry bag included with your inflatable SUP. It should have strong mesh to allow your SUP to dry out thoroughly. This is very important to increase life and prevent staining from mold/mildew. It should also have some shoulder straps to make carrying it easy. Inflatable paddleboards are light weight, easy to transport and store (think condo, elevator, closet or trunk), easy to ship or carry on a plane or train, softer if you fall on them and when dropped, usually bounce right back. Why choose an Inflatable paddle board? Portability: Traveling with an inflatable paddle board is a breeze since they roll up into their included travel bags. Paired with a 3-piece break down paddle, they can be used as a checked airline bag. No roof rack no problem! Inflatable SUPs easily fit in your trunk or back seat of even the smallest of cars. Store them in a closet, take them up/down the elevator, etc. 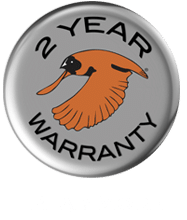 Durability: This is one of the biggest advantages over traditional hard boards, inflatable boards can take repeated bumps into rocks, sand and even pavement without the need for complicated ding repair. This is why inflatable paddle boards are often the choice for river runners interested in whitewater paddleboarding. Storage: When deflated, inflatable sups take up about the same amount of space as a medium sized suitcase, thus can easily be stored in your closet or car trunk. Comfort: Another advantage of inflatable sups is the level of comfort they provide, making them a popular choice for paddleboard yoga. Our boards are super comfortable and have a micro pattern, yoga mat like traction pad on them. Weight: Being lighter weight than their hard board counterparts, they are easier to carry and transport. Bishop Boards has a large selection of inflatable SUPs to meet any paddlers needs. The Hellbender is Hellbender is the next generation of Inflatable whitewater & surf SUPs. Sick of trying to stomp a river wave and punch through? Getting trundled from a high volume wide board getting pushed around (a super wide, thick, and flat board follows whatever the surface of the water is doing)? Don’t fall prey to over volume boards that elude to stability. Step up to the Hellbender. The step down tail makes pivot turns, eddy squirts, and other moves easier. 2 forward handles for impromptu body surf sessions, the highest quality removable click in/out side fins and many more best in class features. 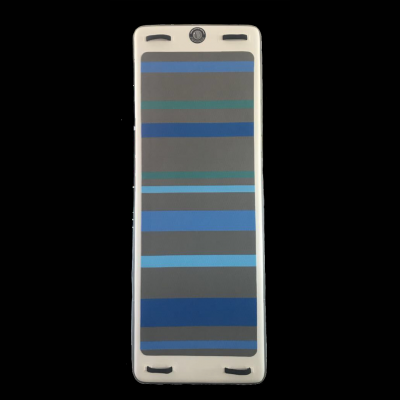 The US standard fin box ensures that you can always find a replacement fin easily, make adjustments and is stronger. Meticulously designed to make the most of your time on the water. The Axoltl is everything an inflatable paddleboard should be, truly versatile. Head out for a quick paddle, exercise, yoga, a quick down river run or a relaxing day of fishing, all with the same board. The compact size is perfect for portaging, storage, and maneuverability. Let’s face it, we all just want to get out there on the water as much as possible. Make it happen with after work, on the weekend, before dark, or at a new spot you just found with the Axoltl. The Enigma is an awesome blend of features to give you a wide range of carrying capacity (weight of paddler and gear), speed, easy to carry size and performance. Take one out today and go for a coastal paddle, race down a whitewater river, and on your travels abroad. The Sirenidae brings StrongSUP methodology to inflatables, Strongflate. 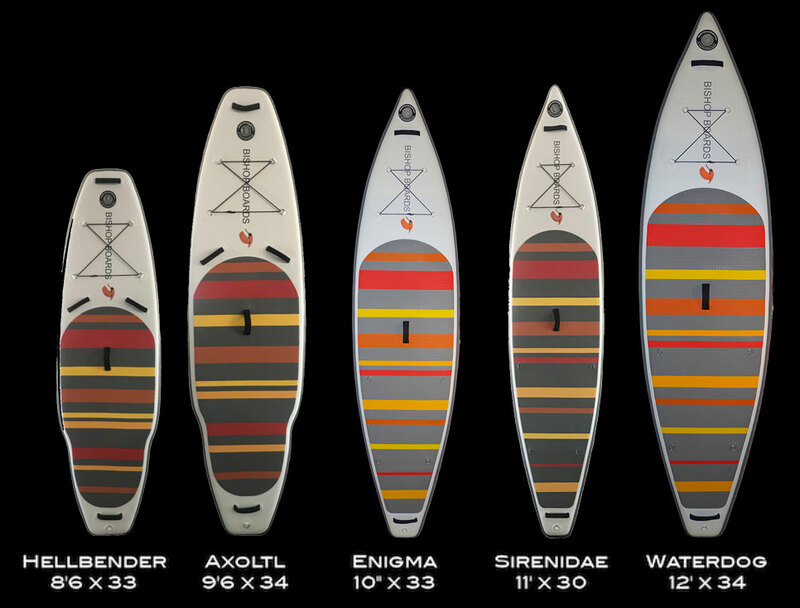 Re-engineering the way inflatable paddleboards are designed & built. iSUPs with appeal, less weight, more rigidity and competitive prices. Giving you meticulous design to make the most of your time on the water. The Waterdog is perfect for all those times you need some extra carrying capacity like fishing, tandem paddling (2 paddlers on one board), larger paddlers, expeditions, etc. Wide and stable, it can handle everything you throw at it. Our Stand UP mats or fitness flow mats are perfect for pool training (yoga, SUP, fitness) sessions. These high intensity, low impact workouts are fun and come with a built in cool/splash down! Or just drop one in the river, pile on friends and a cooler for an awesome float day. Your own private island for relaxation, fitness or impromptu wrestling matches. Most inflatable paddleboards have a narrower overlap between pieces at the seam, this leads to blow outs and failures. 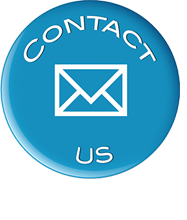 We ensure ample material contact, increasing adhesion, meticulous preparation and proper adhesive application to prevent this. All our inflatables include a US standard center fin box and fin. This makes replacement or different fin shapes easy to find. The US standard center fin box is the most common available, worldwide, period. Our side fins are click in, click out. Easy removal/replacement and include grub screws to lock them in. We use the highest quality materials available and pair this with the best designs, with a huge focus on function. Small details make a big difference, such as the tapered ends on our longer iSUPs. These narrower ends allow the board to ride/run much truer with less flex and less heaving (bouncing up and down). Bishop offers a wide range of paddleboard accessories for 2019 including carbon fiber paddles, leashes, fins, tie down straps and more. All our inflatables include our Fun 3 piece paddle. It breaks down to easily fit in the included mesh carrying bag (holds your SUP too). The Fun has a carbon fiber shaft and a super durable nylon blade. It also includes our Secure lock and zero twist groove that ensures your grip is easy to adjust and stays put even in the surf and whitewater. You can always upgrade your paddle at the time of purchase or later. 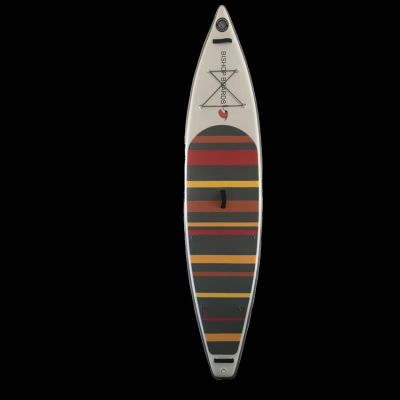 We have paddle models to meet every need, from a carbon/kevlar fixed/one piece paddle, a carbon paddle for kids and smaller stature adults and others. 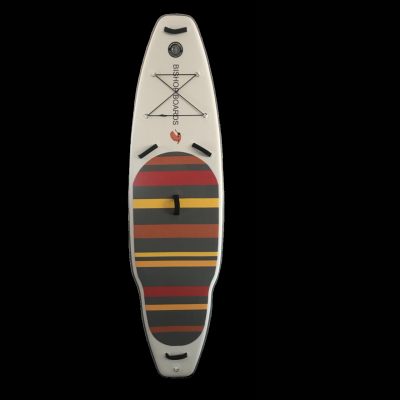 Our new Play fiberglass paddle brings you all the great features everyone loves about our paddles to a more affordable price. Try one out and you will never want to paddle with anything other than a Bishop Board paddle. Our all new design for 2019 includes a SECURE LOCK easy to adjust height mechanism that will not slip. The best adjustable paddle mechanism that you can buy. With separate clamping and bonding areas, it locks your two paddle halves together to prevent twisting. Yet, you can easily flip open the double cam bolt level to release and adjust. Bishop Boards’ Coiled Leash is a high quality coiled leash for your board at an affordable price. Its 8 mm, has a large padded plush neoprene ankle cuff w/key pocket, and dual swivels to help prevent kinks. Includes a Rail saver with easy release velcro and a leash plug cord. Check out our new translucent colors and subdued Bishop Boards logo. Bishop manufacturers the best inflatable sups for fishing on freshwater lakes, rivers and in saltwater. Bishop offers several board designs and sizes to meet any fishing paddleboard anglers needs. Bishop Boards’ inflatable sup yoga paddleboards offer the comfort and convenience of an inflatable. Bishop Boards’ Strongflate technology gives you more rigidity at lower inflation pressures (15 psi) and a lighter weight board. Inflammation time is decrease with the lower 15 psi. And performance is increased with the added rigidity and light weight. 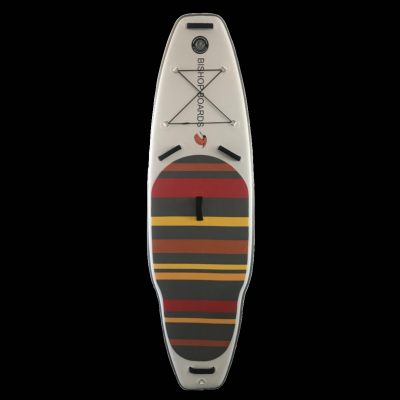 Our yoga sup boards are designed to get on the water quicker with lower required volume of air & the included dual inline chamber, rebuildable/repairable pump (The Easiest, Fastest, and Highest quality available. US made to Mil-spec standards). Try one, you’ll never go back to the others. Bishop’s whitewater paddleboards are the industry standard for durability, performance and price. We make the next generation of Inflatable whitewater SUPs. Sick of trying to stomp a wave or punch through and getting trundled? Don’t fall prey to over volume boards that elude to stability. Step up to a Bishop whitewater paddleboard. Meticulously designed to make the most of your time on the water. A low volume tail engages pushy water for secondary stability, like when riding standing waves. Truncated ends and low aspect rails afford predictable drive speed of longer boards. Combined with the low volume tail, this allows the our whitewater boards to rise above the rest. What’s the best inflatable Paddle Boards for Kids? Bishop Boards makes several inflatable paddle boards perfectly suited for children paddlers and lightweight adults. Our kids paddleboards are made from the same durable, high-performance materials as all of our boards. 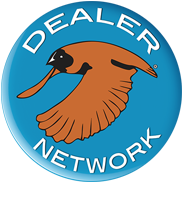 Try the Hellbender or check back soon for our new Newt model. Do Bishop Boards Inflatable SUPs include a pump for board inflation? Sure does! All Bishop inflatable sups come with a high-pressure, easy to use pump. Do Bishop Boards Inflatable SUPs include a paddle? Yes, all Bishop inflatables include the Fun, a 3 piece carbon/composite paddle with a super durable and rigid nylon blade. Do Bishop Boards Inflatable SUPs include a backpack for transport? Yes, Bishop inflatable paddle boards come with a very high quality backpack for easy carrying and transport. It has mesh sides to promote drying and ventilation. What else does my Bishop Boards Inflatable SUP include? All Bishop inflatable paddle boards Includes a pump, Fun 3 piece carbon/composite paddle, mesh backpack, and fins. Ready to rock! What sets apart a Bishop Inflatable Paddleboard from cheap model available from a big box store? Bishop inflatables are highly engineered with modern materials made to last. They acquire more rigidity at lower inflated pressures making them extremely rigid and stiff, allowing for more efficient paddling yielding higher paddle speeds. You’ll appreciate the attention to detail, comfy micro pattern traction pads, soft neoprene covered handles, lighter weight, and increased durability. How long does it take to inflate my Bishop Inflatable Paddle Board? It takes about 5 minutes to inflate your board. It can depend on how fast you would like to pump the hand pump. Our included dual chamber pump allows you to inflate quickly and more easily using one hand/arm at a time. This allows you to rest one hand/arm while the other continues to pump. Most pumps have a T grip and tire out your back needlessly. Off course you can opt for a high quality electric pump and do away with the work entirely. Can I leave my Bishop Boards Inflatable Paddle Board Inflated after I paddle? You can, however we recommend letting out a little bit of air pressure. Air expands when heated and can lead to over pressure and damage. When we store ours, we press the inflate/deflation valve for a count of 2-4 seconds. Can I attach a seat to my Bishop Boards inflatable SUP? You sure can? Our cooler/drybox/fishing rig makes the perfect seat for taking a break or casting a line.